Beginning with an evolutionary history of the relationship between man and his environment, Nature-Guided Therapy takes us on a cross-cultural journey into traditional healing disciplines, such as ethno-medicine, sociobiology, and anthropology. By examining clinical data, empirical scientific investigations, and anecdotal accounts, Dr. George Burns helps point the way to healing benefits of a balanced relationship with the environment. Case histories and step by step procedures for utilizing nature-guided strategies are also presented. Designed as an immensely practical guide for clinicians, this volume contains over 80 therapeutic exercises and a variety of nature-based strategies to help augment clinical skills regardless of one's theoretical orientation. Also included is the author's Sensual Awareness Inventory to help access the client's experiences that may facilitate relaxation, happiness, and wellness. This book provides a fascinating read that can expand our views, challenge our therapeutic paradigms, broaden our clinical practice, and provide simple yet pragmatic treatment interventions. Part I: Nature-Guided Therapy. Nature Heals. Ecopsychotherapy. Part II: A Matter of Sense. Sensual Awareness. The Sensual Awareness Inventory. Part III: Nature-Guided Strategies. Inside Out. Sensate Focusing. Nature-Based Assignments. Natural Ordeals. Experiential Metaphors. 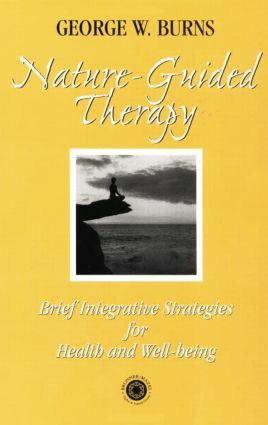 The Three R's of Nature-Guided Therapy. Part IV: Natural Happiness. Ecotherapy for Relaxation and Comfort. Ecotherapy for Happiness and Pleasure. Ecotherapy for Enhanced Relationships. Part V: Natural Wellness. The Nature-Mind-Body Connection. Nature-Guided Mind-Body Healing. Being Well, Naturally. George W. Burns is a Clinical Psychologist, an Adjunct Senior Lecturer at Edith Cowan University, and Director of the Milton H. Erickson Institute of Western Australia. He is the author of numerous books, including Healing with Stories and Happiness, Healing, Enhancement.